Could we be looking at what will end up to be the next Galaxy? The Galaxy Note 2 which is primed to be unveiled at the end of this month? 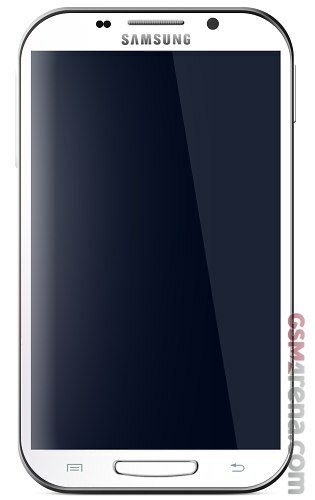 In the run up to the unveiling of the Samsung Galaxy S III there was many images flying around purporting to be leaked images of the Galaxy S 3, very few turned up to be close to the real thing. But quite close to the announcement, there was one that went across the blogs that was the actual thing. That was after the boxes that were going about the blogs of the prototype Galaxy S IIIs that were inside a completely different casing to disguise what would be the real design. Knowing that we have exactly two weeks before the unveiling of the next phablet, how true could this be? Would the 5.5 inch screen fit in here, considering it is said that the overall smartphone size wont be altered by the increased size due to the bezel thinness? Does that come out well in this leak? Well, I leave for you to decide, as this is only a render, and not a photo of the finished product. As of the specs that came with this “leak”, there is 5.5″ for screen size, 1.5GHz Exynos 4 Quad SoC and 8 Mp camera sensor which is a far call from the previous 13Mp which flew around with much abandon. What do you think? True or false? I dont think. 5.5 inches No way. Samsung iss known to be a guarded lot.Not pretty much like Cupertino.What may be true is the chip and the camera.The form factor and the new design is likely to be embraced to follow in the steps of the S3 especially with the home key.What a tech shake up looming! With Iphone 5 also rumoured around the same time Lets watch this! It will be interesting.